Pictures of Google’s delivery drone from test flights in Australia. Alphabet’s secretive tech lab Google X has announced it hopes to launch a delivery drone service within the next two years. At a Washington conference for air traffic controllers on Monday, Google executive Dave Vos told the audience members that he hopes to launch a commercial service by 2017. Google later substantiated Vos’s announcement, saying the service would use its Project Wing technology to deliver parcels however the company did not state where the deployment may take place. Vos also said the company is in talks with the Federal Aviation Administration and other stakeholders with an aim to setup an air traffic control system for drones which would manage unmanned drones to navigate within altitudes under 152 metres using internet and cellular technology. Details about Project Wing emerged in 2014 with the project being initially run inside Google X – the companies secretive research lab. It is now thought to be manged by Alphabet – the parent company which divisions of Google now operate under. 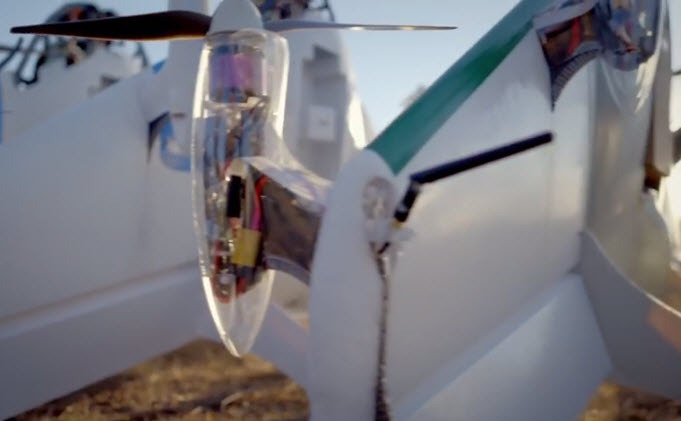 Google built its own drones and flew them in trials in Australia. They were used to deliver pet food and chocolate bars to a farm with the items winched down from the aerial drone. Early reports believed the drones would be used for medical uses such as urgent medical supply delivery however they are now being focused towards commercial product distribution. Amazon has also detailed its plans to use drones to deliver goods ordered through its online platform. The company plans to use octocopters which could ferry up to 2.3kg of goods to consumers within 30 minutes of the orders being placed. In early 2015, China’s largest online retailer Alibaba undertook a three-day trial of drone deliveries around its offices in Beijing, Shanghai and Guangzhou sending ginger tea parcels to 450 Chinese customers who volunteered for the short trial.